As we're sure you know, the weather has been hot this season, and precipitation has been relatively low. (In fact, the heat has escalated to the point of being newsworthy... nytimes.com) Horticulturally speaking, the first place many people notice the effects of heat stress is on lawns, which have the good sense to go dormant and wait it out. We definitely recommend a combination of overseeding and core aeration this fall to help rejuvenate your grass as the summer comes to an end. However, lawns are actually faring better than many trees, although the symptoms may not be as obvious. watering that's best for trees. Plants are constantly losing water through tiny holes in their leaves through a process called transpiration, and when it's hot, the rate of that water loss increases. Add to that a lack of adequate rainfall, and the result is often stressed plant material. The problem facing trees is that they're really big, and they do not have the luxury of going dormant in hot summer months, like lawns. Instead, trees have a lot of active leaves, so they lose a lot of water, and their roots are searching to replace that water in some pretty dry ground. Trees suffering from heat stress face problems with producing new growth, healing over wounds, and fighting against diseases and insects. If they're stressed enough, they eventually run out of energy to support their existing growth and begin to decline (sometimes irreversibly). Newly planted (within the last 2 years) and mature trees are the most at risk for serious decline, and we've seen both this summer. Particular species that seem to be suffering most include Birches, American Dogwoods, and Japanese Maples. with water, and placing them under trees. Signs of heat stress in trees tend to develop toward the top of the canopy first, so they often aren't noticed right away by property owners. They include smaller leaf size, leaf scorch (browning and/or yellowing), wilting, and sometimes loss of foliage (a particularly bad sign). The best way to fight heat stress in trees is through a combination of proper irrigation and organic soil amendments. 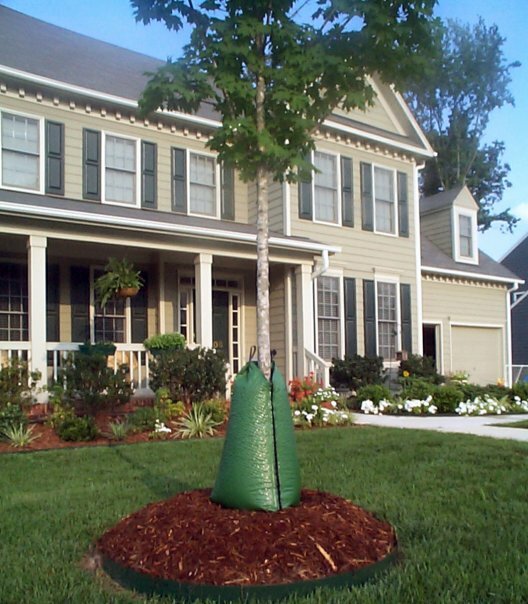 Proper irrigation means focusing water on saturating the root zone of a tree. Sprinklers, for instance, aren't going to get the job done for trees, but a properly placed soaker hose will. Treegators are great solutions for young trees, which run a high risk of suffering heat stress. With a traditional garden hose, it's also possible to set the flow to a trickle and move the mouth of the hose around to four or five different areas of the root zone over the course of the day. In terms of soil care, organic amendments increase a tree's drought tolerance without spurring new growth that it can't afford to support (which is the result of synthetic fertilization of heat stressed plants). Also, by using a soil needle injection method for applying soil amendments (as opposed to a soil drench), we can break up compacted ground and introduce better flow of nutrients, air, and water into the root zone. 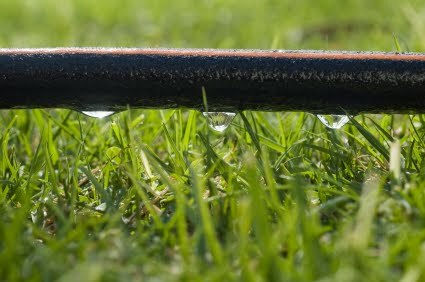 In addition to Almstead's organic soil care services our arborists are always glad to advise you on irrigation practices, and we also provide watering services for plants out of reach of irrigation. To formulate a heat stress survival plan for your trees (and shrubs, and lawn), please schedule a complimentary consultation with your Almstead arborist.